Your information will NEVER be sold, rented or abused in any way! 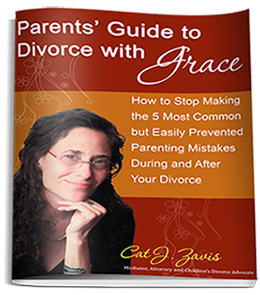 Cat J. Zavis is an Attorney, Mediator, Child Advocate, Coach for Parents co-parenting their children after divorce and Author of the upcoming book, "Parenting with Your Ex: Another F***ing Growth Opportunity." As a divorced mother of 2, she deeply understands the challenges, trauma and opportunities divorce provides. 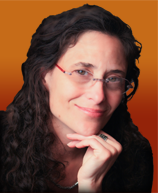 She has been practicing Nonviolent Communication, Mediation and Collaborative Law for 7 years. She conducts workshops and trainings in Nonviolent Communication for parents, lawyers, teachers, students, spiritual centers and professionals. In 2009, she was awarded a Peace Builder Award for her business. Her combination of personal experience and professional expertise give Cat a unique perspective and ability to help co parents learn to communicate effectively and powerfully to transform their relationships and interactions with their former after divorce so they and their children can thrive.